In December 2017, an interesting rumor surfaced: According to “sources familiar with the matter,” the messaging app Telegram, very popular among crypto-enthusiasts for its strong encryption and privacy features, would launch its own blockchain platform and cryptocurrency. Of course, a leaked executive summary of the white paper is now available. The document has been shared by Cryptovest, and its authenticity has been independently confirmed by TNW. The 23-page executive summary often refers to an unreleased technical white paper which, according to TechCrunch, has 132 pages. Scaling transaction throughput to the tens of thousands of transactions per second supported by major credit card networks such as Visa and Mastercard is an important requirement for a mass-market cryptocurrency. While Bitcoin and Ethereum developers are working toward achieving higher throughput, the Telegram white paper notes that Bitcoin and Ethereum are currently limited to a maximum of only seven transactions per second for Bitcoin and 15 transactions per second for Ethereum, resulting in insufficient speeds and higher transaction costs. The white paper does not seem to take second-layer protocols into account, however. The TON blockchain will consist of a master chain and (eventually) a huge number (2**92) of accompanying blockchains (shards) that can dynamically split and merge to accommodate changes in load and achieve optimal throughput. TON will use a proof-of-stake approach based on a variant of the Byzantine Fault Tolerant protocol and instant hypercube routing to partition the workload among shards. Network protocols for storage, TOR-like privacy and micropayments will be released after the TON blockchain core. According to the roadmap in the white paper, a Minimal Viable Test Network for TON will be launched in Q2 2018. Then, after a testing phase and a security audit, a stable version of TON and a Telegram wallet will be deployed in Q4 2018. The TON coins will be called Grams. To fund TON, Telegram will launch a token sale in Q1 2018. Initially, 44 percent of the total supply (2.2 billion) of Grams will be sold at a price that will start at $0.10 per Gram and gradually increase, with each Gram priced one billionth higher than the previous one, reaching $1 per Gram once 2.2 billion tokens have been sold. Based on these projections, it seems that Telegram’s token sale could easily become the biggest in history. Of the total supply of Grams, 52 percent will be retained by the TON Reserve “to protect the nascent cryptocurrency from speculative trading and to maintain flexibility at the early stages of the evolution of the system,” and the remaining 4 percent will be reserved for the development team. According to current plans, the token sale will use a Simple Agreement for Future Tokens (SAFT), to be converted 1:1 to native TON Grams after the deployment of the TON Blockchain. 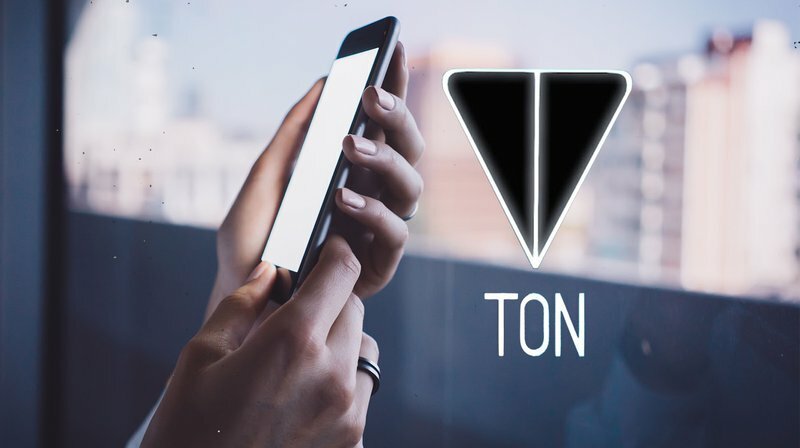 TON’s killer app is Telegram’s ability to leverage the enthusiasm of millions of cryptocurrency fans among the app’s 200 million users. At the same time, however, it’s worth noting that the greater population doesn’t really care much about encryption or cryptocurrencies. Many other messaging apps, such as Facebook’s Messenger and Whatsapp, are much more popular than Telegram. Telegram is independent, self-funded and privacy-focused. The popularity of Telegram among cryptocurrency enthusiasts can be explained by the fact that the messaging app was founded “by libertarians to preserve freedom through encryption.” These features make it more attractive than other platforms, like Messenger or Whatsapp, to users who feel strongly about privacy protection. It’s then interesting to speculate about possible moves of Facebook toward developing a cryptocurrency integrated with its social network and messaging platform. In a recent post, Facebook co-founder and CEO Mark Zuckerberg notes that, contrary to the once widespread belief that technology could be a decentralizing force that puts more power in people’s hands, it now appears that technology’s net effect is that of centralizing power in the hands of large corporations and governments. In as speech by FBI Director Christopher Wray on January 9, 2018, to the International Conference on Cyber Security, he highlighted his concerns over encryption, pointing out that last year, 7,800 devices were rendered inaccessible to law enforcement. “This problem impacts our investigations across the board — human trafficking, counterterrorism, counterintelligence, gangs, organized crime, child exploitation and cyber,” he stated. He called on the private sector to find ways that would allow them to “respond to lawfully issued court orders, in a way that is consistent with both the rule of law and strong cybersecurity.” It is these sorts of access measures that Zuckerberg will probably be considering. While it doesn’t seem plausible that Facebook could become a staunch champion of privacy like Telegram, it will definitely be interesting to watch Facebook’s moves in the cryptocurrency space.